Welcome to Nick Aiva 's blog! : Comments on Oracle JDeveloper 10g for Forms and PL/SQL Developers, by D.Mills, P.Koletzke. Comments on Oracle JDeveloper 10g for Forms and PL/SQL Developers, by D.Mills, P.Koletzke. On the bright side the text is well written without many misspellings. It has a tutorial format which is easy to follow, starting from chapter 9. The source code available from www.tuhra.com is compatible with all 10g versions of JDeveloper starting from 10.1.3, so that you can build the application presented, from scratch. Moreover, some use cases mentioned in chapter 15 are very useful and can be reusable in many similar user requirements. Apparently, the application page screen shot was created using JHeadstart, and not purely ADF. JHeadstart is an extension for JDeveloper which must be paid for. Furthermore, the whole chapter, 16, which is devoted to demonstrating, or rather promoting, JHeadstart is totally useless for the individual, open source developer. It could have been replaced by a more useful deployment guide to the Oracle Application Server (OAS) instead. All in all, the book is not recommended unless you are forced to implement for an older J2EE environment. 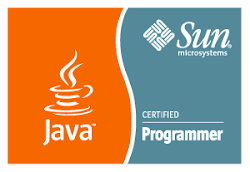 Besides, at the time of this writing the OAS, and JDeveloper 10g is being deprecated, its end of life is approaching and there is always a free online tutorial, if you still need to get started. Tales from the trenches by Dr. Dorsey. Coauthor of the JDeveloper 10g hanbook. you have a nice blog my friend ^^! if you got time, please visit mine.